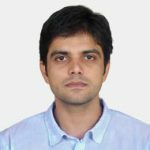 Dr Shantanu Choudhary graduated as a dermatologist from the prestigious Jawaharlal Nehru Medical College, Belgaum where he trained extensively in clinical and surgical Dermatology. Professional Training: He is one of the few specialists in this domain who has a perfect blend of training in Core dermatology and Aesthetics, Cosmetology & Trichology. He acquired a Fellowship in Aesthetic & Cosmetic Dermatology with Dr Leslie Baumann in Miami, Florida (USA) who is world-renowned in the field of Aesthetic Medicine. He learnt the latest cosmetic procedures and the philosophy of aesthetics achievable non-surgically in a holistic manner. Dr Shantanu has a rich experience with the use of a variety of lasers as he trained at the “Cutis Academy of Cutaneous Sciences” in Bangalore, where he did exhaustive hands on work in dermatosurgery and ablative as well as non-ablative laser surgeries. He subsequently secured a Fellowship in Lasers and Advanced Dermatology at the National Skin Centre, Singapore. He underwent a training in Hair Restoration Surgery/Hair transplant at the Vasa Hair Academy from Dr Sanjeev Vasa who is a pioneer in the filed of Hair Transplantation. Clinical Acumen: Dr Shantanu has successfully treated several patients with scars and vitiligo through laser surgeries. He has rendered his services at the Max Hospital, Chandigarh and Silver oaks hospital where he had very good results in patients with hair loss. His clinical experience in paediatric dermatology also distinguishes him. Dr. Shantanu has a keen eye for details which makes him a very sought after cosmetologist. He believes in addressing all the concerns of the patients thoroughly and impeccably. Achievements: He has actively participated in organising several clinical meetings and is a dedicated doctor who works towards best patient care. Dr Shantanu is a member of the Indian Association of Dermatologists, Venereologists and Leprologists, and the International Society of Dermatology.